A rare double day post here. With my stomach stuff, I fell behind on my writing, and need to minimize my tasks to have more time to rest and reset. 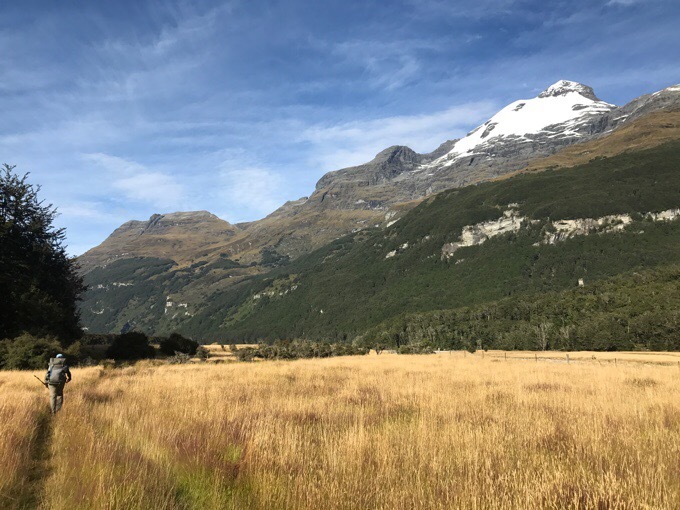 I’m combining the half day hike into Glenorchy and the following zero day in Glenorchy into one post to save time and effort. I had a better night of sleep in Shelter Rock Hut using my white noise and some mind strategies to try to clear my head of the cyclical thoughts causing my stomach problems. What started out as motion sickness became worse when I let my mind take over. I usually have a handle on it, but I let stress come out in my stomach. Like how you feel when you’re really nervous and might throw up and can’t eat. I get that when I’m under stress, be it emotional, physical, environmental, etc. I’ve gotten good at managing it most the time, but when lots of things happen at once, and something triggers it (like the compounded motion sickness and sadness of saying bye to Becky), sometimes it takes time for my mind to stop the cycle of making it worse. I get fixated on stressing about stressing. Not physical as much as mental, and I just need a few days to get my mind right to stop the cycle. The morning’s walk out of Rees Valley was just what I needed. We started leisurely at 7:30am. The morning had wet brush from condensation and wooded trail that was mostly smooth and quite relaxing. 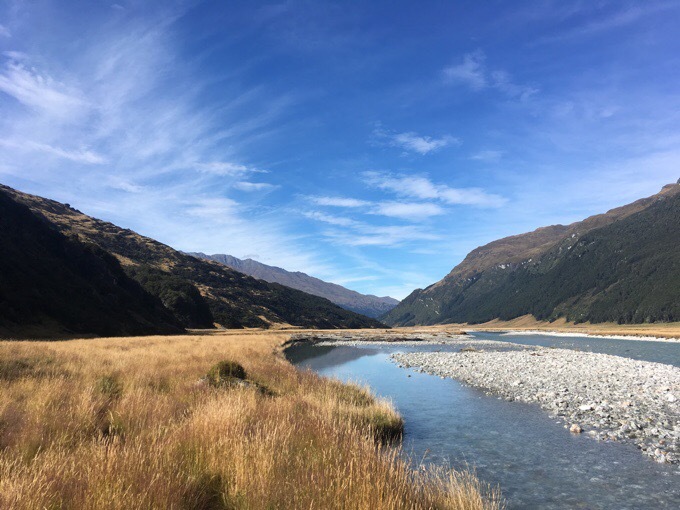 I had a 12min instrumental song that I really like from John Butler called Ocean that I repeated at least 7 times back to back as I walked down the valley and it so helped to just calm and chill out on a gradual descent with relaxed terrain and great weather. 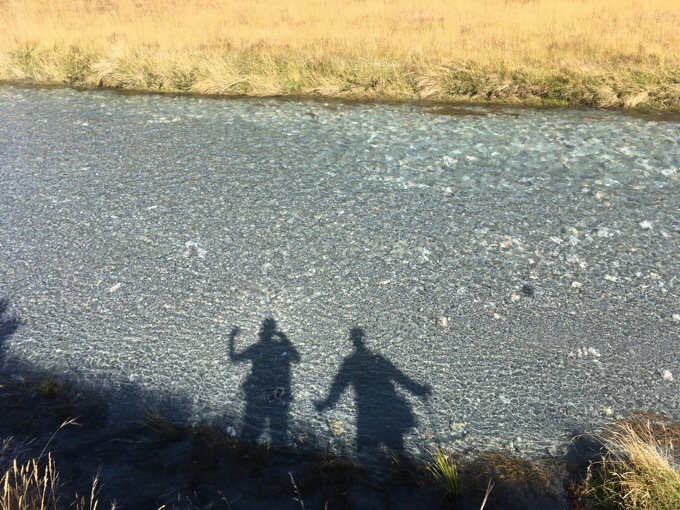 Once out of the woods, we were right next to the Rees River and in the beautiful morning light of the open valley. There was plenty of muddy marsh, but was just the type of hiking I needed to really relax and find a rhythm to glide without effort. Very healing mentally and physically. Still, my stomach wasn’t wanting food, but the good news was that it was improving and I felt that I’d turned a corner mentally to stopping the cyclical thoughts causing it. We finished at noon at the Muddy Creek car park, and were surprised to find a packed parking lot. 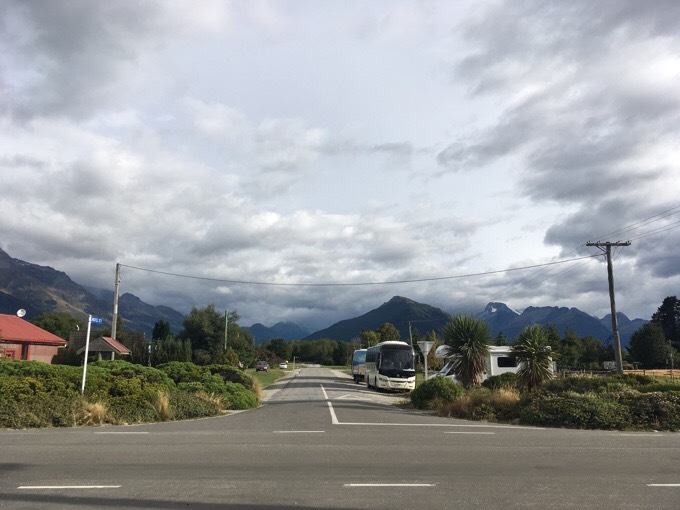 We had booked a paid 2pm shuttle pick-up because it is remote and others have gotten stuck out there having to walk much of the 12mi/20km to the town of Glenorchy. We ended up getting a ride from someone leaving the car park just 5mins after arriving and were in town around 12:30pm. The shuttle understandably still charged us given the last minute cancellation, but it was worth having as a fallback. 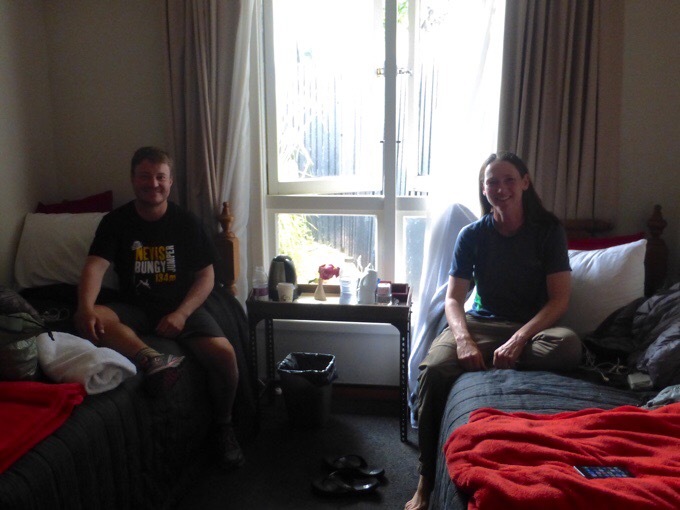 We were booked for the 6 bed dorm at the Glenorchy Hotel and only had one other person with us, so that was great. Wifi was actually good too! Things were looking up. However, I did get to the hotel to find that I did start my period early! WTF!? Can I catch a break at all here. Lots makes sense now as to my feeling so weak and exhausted on top of stomach stuff. It’s like a double whammy. Great timing that I was zeroing the next day. I was able to eat a small lunch and then a big dinner! My hunger is totally back, whew! Having the zero the next day was perfect timing. We knew rainy weather was coming in for 24hrs on the Routeburn, where we are headed next, so this zero was planned to wait that out. We moved into our own room for just a bit more than the dorms and it was totally worth it for the zero. I ate plenty and rehydrated. 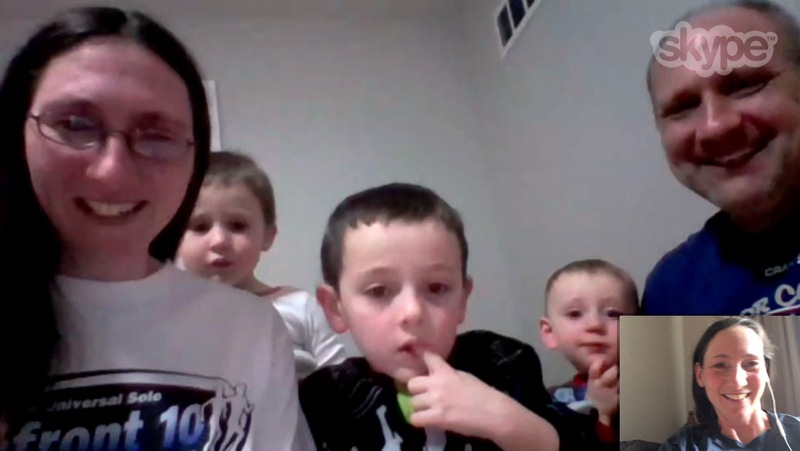 I got to catch up on a backlog of correspondence and Skyped with my nephews before they went to bed. The littlest one at just one year old is now saying “Aunt Erin” when they get ready to Skype! Most importantly and excitingly, we planned Tasmania. That’s right, I said WE! Griggs is coming to join in on Tasmania for a month after the TA before we both fly back to the US. Yay!!! I have to totally thank Griggs for hanging in on all my “wiredness” and coming along on the side trips. He had planned to do the side trips after the trail, but it worked out really nicely to have done them all now. Griggs is so freakin’ efficient and quick with reading and planning that it has really lifted a ton of stress from the whole Tasmania planning. We both are so compatible in travel and hiking styles that this just fits perfectly for both of us to continue on together another month. I swear, without his contributions on all this planning, I’d be so much more of a wreck! Also, let’s throw in a big THANK YOU to Griggs for his photo contributions as well! A great way to zero! So dates are booked from March 7th-April 10th in Tasmania. I’ll be home in time to submit my taxes! The main two tracks we are doing are the Overland Track and the South Coast Track. Then we have a good list of the others we would like to hit depending on timing, logistics, and weather. That’s the Western Arthurs, Freycinet, Lake Rhona, Mount Anne Circuit, Frenchmans Cap, and Maria Island. If anyone lives near any of these places (we’re flying into Launceston) and are interested in hosting or helping with transport, email me! In like two minutes, Griggs made a shared document on his phone that has our list of options with links and a Google Map with waypoints of all the destinations. I swear I’d pay for this kind of planning all the time! So freakin’ efficient! 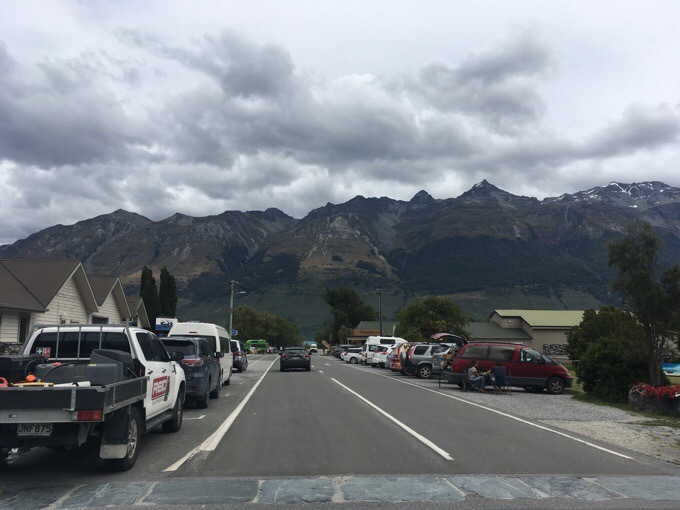 Glenorchy with rain up on the mountains. I was able to get so much done that I actually get to watch some shows tonight before bed! 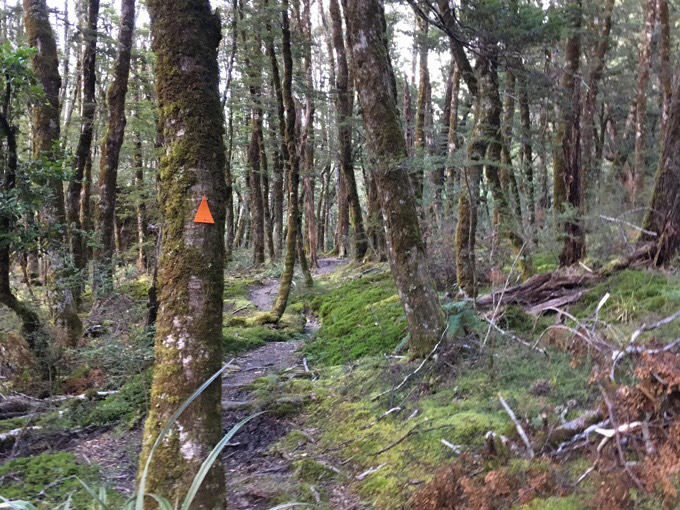 Tomorrow, early in the morning, we hit the Routeburn Track, one of New Zealand’s 9 Great Walks. 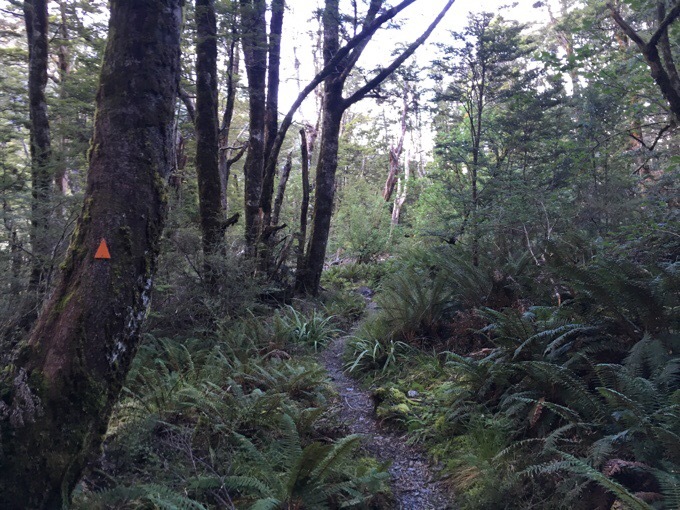 It will be a day long hike that connects to the Caples Track that will be another day to get us back on the Te Araroa where we left off. From there, it will be about 10 days to the finish, whew! I might not have service to post daily, so no worries if there is a delay. Weather looks to be perfect! One last side note. Long ago, on Day 78, I took a photo of a woman painting on Travers Saddle. Her name is Becks (another Becky! ), and she just sent me photos of what she had painted in that section. 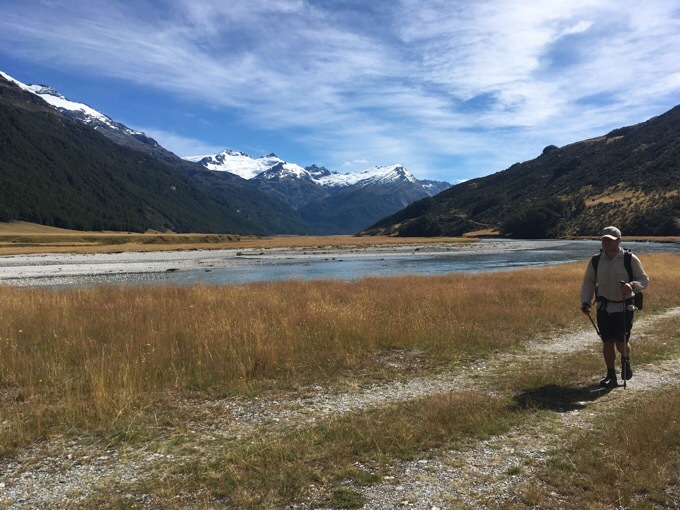 Turns out she’s doing the paintings as she hikes the South Island. She keeps a Facebook page and website at Becky Cameron Art. Enjoy these photos of her art and check out her page! A bit delayed, but I still want to share it as many were interested. Looks like things are shaping up “perfectly”…glad to hear Griggs is going to continue on with you. Who knew editing a blog could be so glamorous. ? I am on record as saying I found the North Island part of the walk underwhelming so can I say how much I’ve loved the photos over the past couple of weeks. Thanks for showing some really beautiful country. Pity you have been sick. There’s a Glenorchy in Tasmania incidentally – it must be a a good omen. More beautiful pictures – relieved that your anxiety has been relieved and you are ready for the next “go round”. I agree with you on having someone so efficient and able to plan things so quickly – good for Griggs (and you) Looking forward to the next segment of your journey. 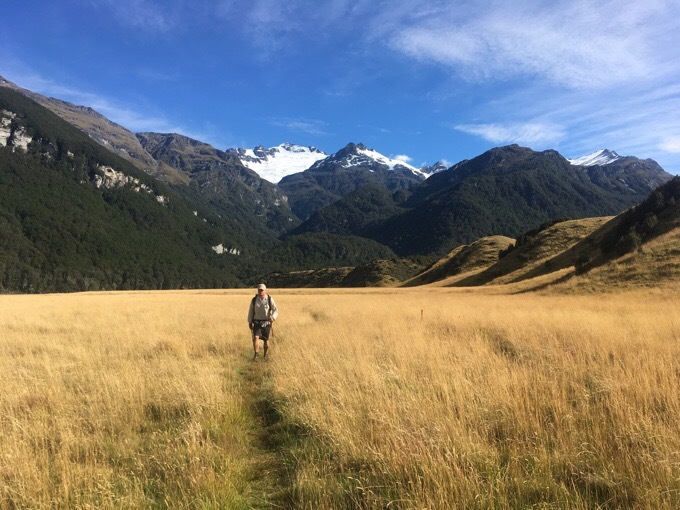 I am full of admiration for the way you gave been doing the walk in New Zealand, particularly including the side trips which add to the overall experience of the trip. I think the S Island is better than the North, but still quite a mixed bag of extremes. Weather is a huge factor and I still think that there’s more effort than reward at times. I feel like NZ is best explorered as a sectioner or in pieces not entirely on the TA. But if you’re looking for a thru hike atmosphere, it’s ok. Not awesome, but fine. Overseas from NZ or where? I’m guessing you’re not US? Of course I recommend the PCT tops. Then the Great Divide Trail. Also I’m looking at the Pyrenees and heard it was great. Depends on what experience you’re looking for. So many out there. Once again .. those is real mountains. With snow! You are a useful travel guide Erin – if I go to NZ at some point, which is quite possible, I will know whereabouts to head for! Oh, and I begin to see why some call it “the curse!” *What* a nuisance it all is ..
Becky Cameron’s art is so interesting and thankfully she has an actual site. Glad things are improving.. Onward with Griggs! I am about to check out Becky Cameron’s art. Thanks for sharing! We have all had a gut wrenching anxiety since November 8th. 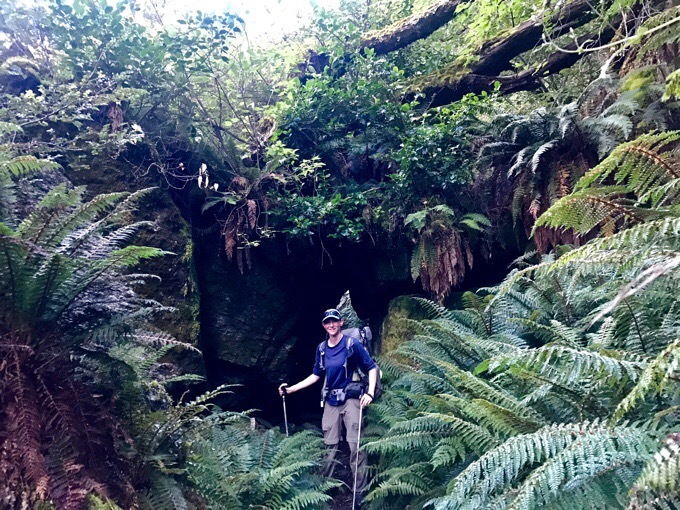 glad to hear that you have decided to do the Overland AND the South Coast Track back to back. Regarding your upset tummy, I wonder if anxiety and stress are causing a build up of acid? May I suggest that you get some antacid tablets and try a couple when you next have this problem? In Australia the brand I use is called Tums. Hmm, maybe. It’s more mental nerves than anything. Personally, Erin’s journey and blog take me away from the anxiety.. for a time..
Tums, which we have in the U.S. as well, are a good source of calcium..
Dear Wired, Congrats on finishing the TA. Debbie and I will be in Te Anau on Mar. 2,3, and 4th. Looks like we will miss You. I’ll call You next time I’m in Portland. Glad to hear you’re feeling better, Erin! April 10th is the day I fly into San Diego and I start the PCT the next day, so you’ll be heading home just as I’m heading out on my adventure! Weeee! Aw, that’s awesome! It’s going to be quite the year that’s for sure. Inspiring so many, cool to hear about your anxieties subsiding. And really more excited to hear Griggs will continue on with you. Thanks for sharing Becks art.